We service all makes & models of heavy and medium duty trucks! 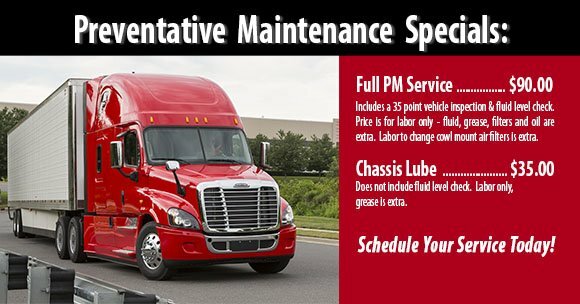 Bring your heavy or medium duty truck in for service and repairs. Our qualified team of diesel technicians work on all makes and models of trucks such as Freightliner, Western Star, Kenworth, Peterbilt, Mack, Volvo, RV’s and buses.